After “why”, the next logical question is “how”. Our blog post on Going the Distance: Why Train for a Rowing Tour, garnered lots of interest. If we have convinced you of the why, the next step is to figure out the how. Here are our top tips plus the opportunity to access a brand new rowing tour training program. Undertaking a rowing tour training program makes you happy during the trip! One has to think of themselves within that context in order to develop the desire to push themselves towards a particular goal. People have all kinds of stereotypes about what or who an athlete is, when in actuality an athlete is anyone who trains in a specific way for a specific endeavor. Your tours are just that! A specific endeavor. Check out her blog post that explores thinking like an athlete when you are a masters rower. Now you are ready to start training. A half marathon is 21,097m. Your Rowing The World tour will cover that distance and more each day. For a week. Would you attempt to run (or even walk) a half marathon day after day for several days without any training? Probably not. You’ll want to spend some time sculling and/or erging for several weeks leading up to your tour. She notes that longer rows will help build physical stamina and, just as importantly, mental strength to keep going when the body fatigues. Rachel discusses the importance of fuelling your body well when training – which typically is not a problem during the tours! We have had some excellent discussions with Marlene Royle of Roylerow Performance Training Programs and Faster Masters Rowing. In our first post she indicated that rowing tour preparation needs to include building stamina so that you can recover quicker and can row day after day, as well as enhancing basic fitness for injury prevention. There are physical demands associated with long duration rowing, and you need to develop fatigue resistance. And she would know. She has trained people for the Corvallis to Portland row, spanning 100 km in two days, and also developed a three month program for racers to prepare for the World Rowing Masters Regatta. 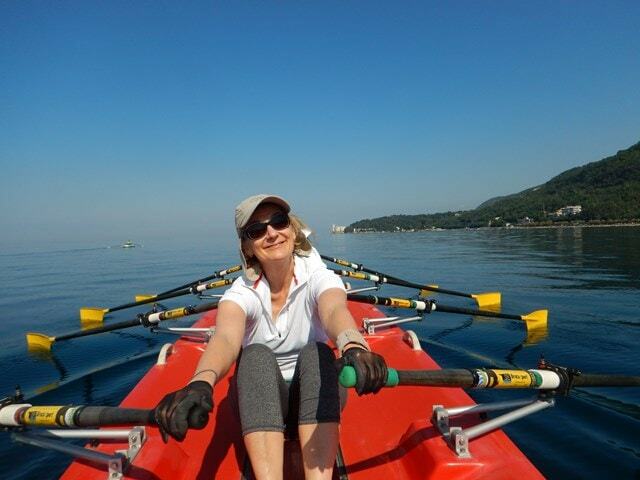 At our request, Marlene is developing a rowing tour training program which will be available beginning February 2019. This is a training program designed to help you build up your endurance to row a tour with distances of 20 or more kilometers per day. 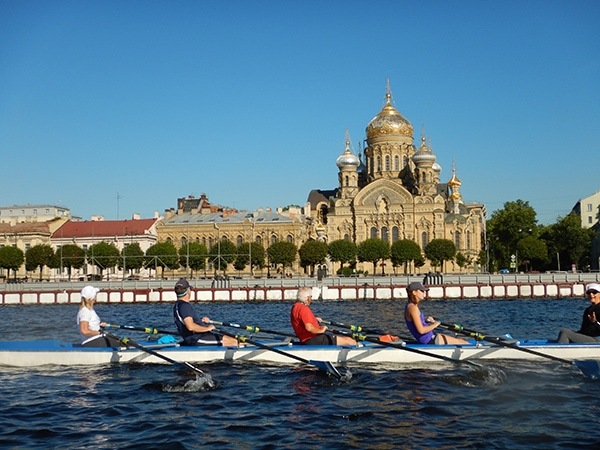 The a 3-month program by expert coach Marlene Royle gives you the specifics to train well for a successful and enjoyable tour with rowing workouts that can be done on the water or rowing machine, as well as, strength exercises. The plan is adjustable whether you train 6 times per week or 4 times per week. You can adapt it to fit your schedule to build endurance and strength to get the most out of your trip. Rating/Pace: Every 5’ alternate 5’ @ stroke rate 20 and 5’ @ stroke rate 22. The cost for the program will be $75 USD. You can purchase it through PayPal by sending funds to roylerow@gmail.com or email Marlene at roylerow@gmail.com to request a secure invoice. Focus on keeping blades off the water. Press the handle down to release the blade; as the hands come away from the body press the handle down again to set the height off the water by the time the follow through is complete. From then on the blade should remain parallel to the water until the entry. If you feel your technique needs a tune-up, we encourage you to check out the sculling programs at both Craftsbury Outdoor Center in the summer or Florida Rowing Center in the winter. If you are lucky, Marlene might be your coach. I am not a coach, but I will share my secret winter training tip (shhh, don’t tell Marlene). Periodically ditch the erg and get outside! Remember you need to be motivated to keep going. 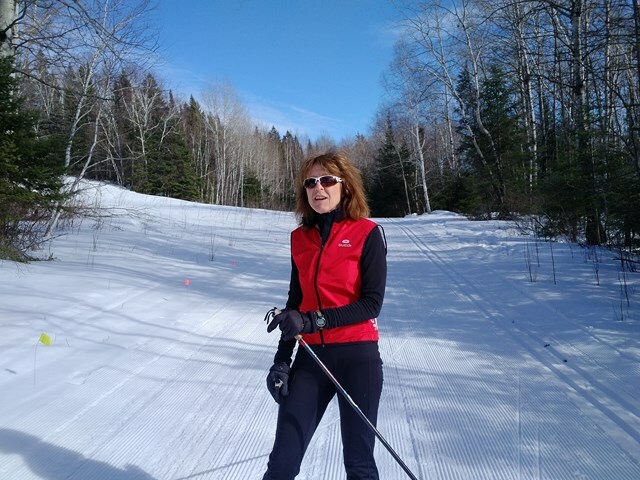 Nothing like a fabulous cross-country ski in beautiful surroundings or even a brisk, long walk to instill pleasure and variety in your rowing tour training program. See you on the water, fit and ready to row and enjoy your tour.